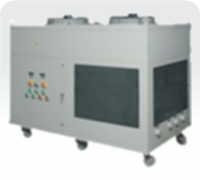 Advance closed loop Water Chillers are used to provide chilled water at a precise temperature to sensitive water cooled equipment. Designed to work in hostile industrial environment, these chillers are appreciably reducing costs in a broad range of industries. Our Chillers for process cooling and equipment cooling enhance production processes and lower operating costs. Unlike a cooling tower which may provide adequate cooling during certain months but fail during the hotter months, Advance Water Chillers maintain constant cooling temperature in the equipment right through the year. Unlike water chillers in the market which are for general purpose applications, our chillers come with a focused application design. 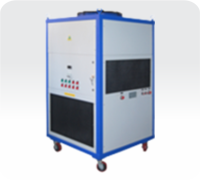 You therefore get the optimum solution to your heat management problem.